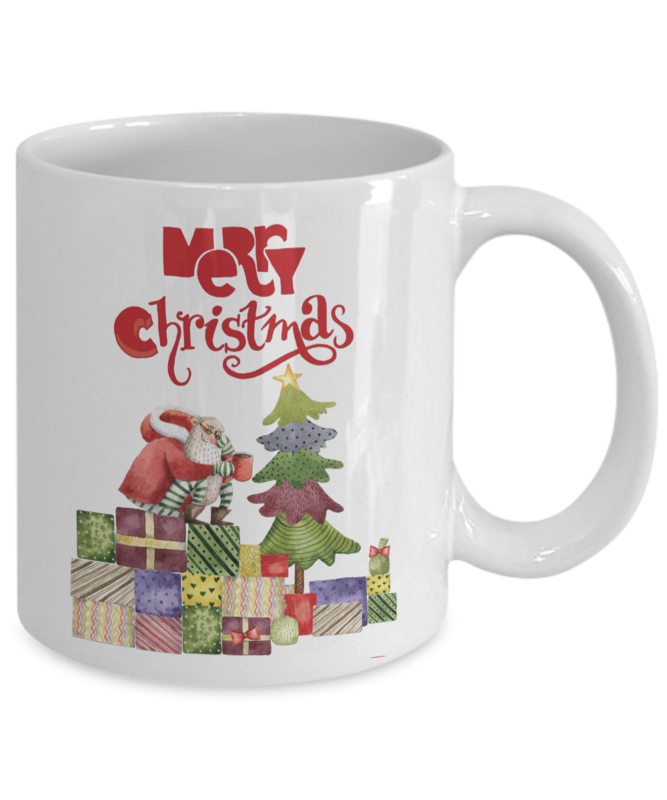 This Funny Santa Christmas Coffee Mug Santa Rest on a Pile of Presents and sipping a cup of Hot Cocoa! It looks like Santa Claus is a little bit tuckered out after a long night of spreading Christmas Cheer To All! 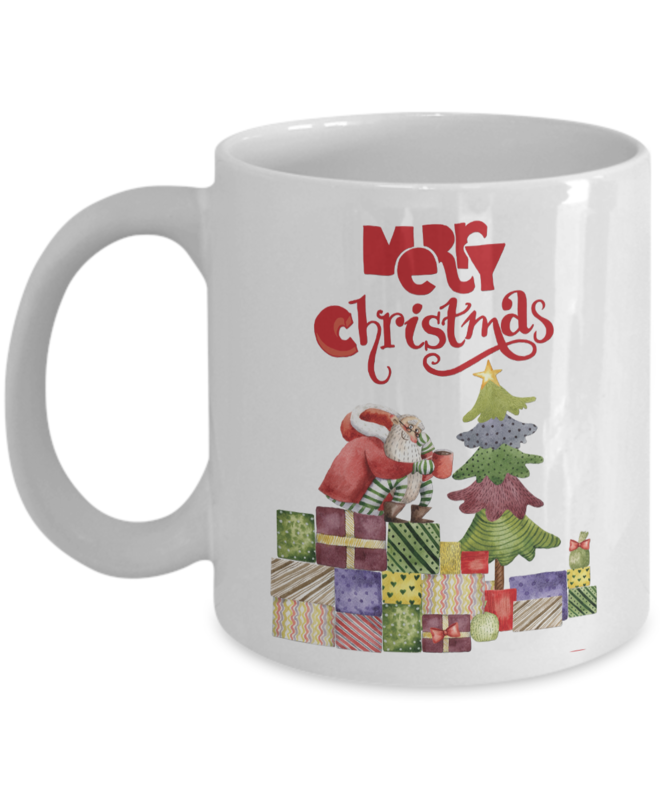 This Funny Christmas Santa Coffee or tea mug would make a Great Christmas gift for dads, moms, kids or even grandpa and grandma!